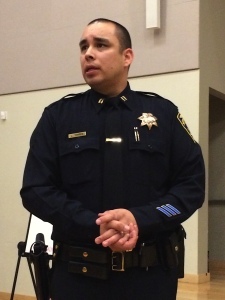 On Thursday, Dec. 11, the San Leandro Police Department had an hour-long community meeting to address the shooting that took place on Broadmoor Ave. Mike Katz-Lacabe attended, filmed and tweeted from the meeting. The SLPD did not call on him, so he was unable to ask any questions. The following are his tweets, in chronological order followed by the video of the meeting. 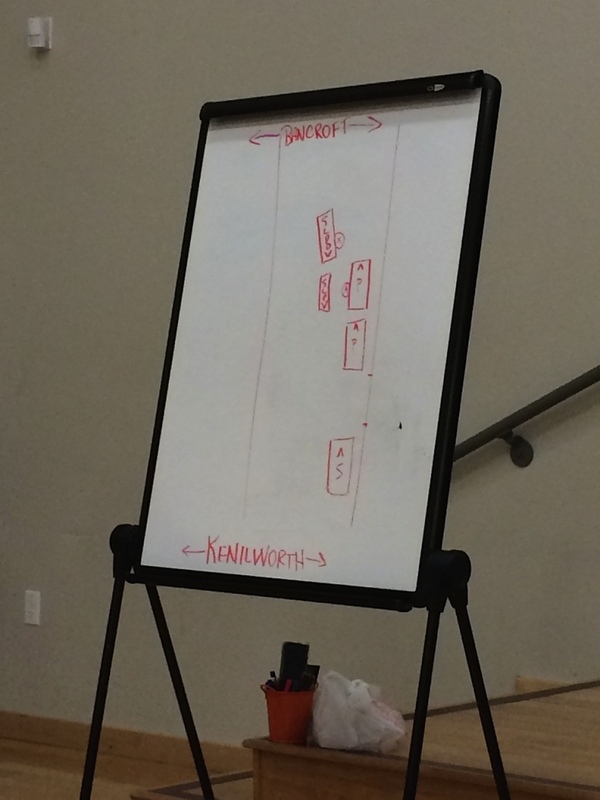 The meeting concerns the December 4 shooting in San Leandro’s Broadmoor neighborhood. In response to a question from the audience, SLPD Officer Robert McManus says Oct. 5 Woodland Ave. officer-involved shooting is not related. San Leandro police officer had no chance to get out of way of fleeing vehicle. His leg is why there wasn’t more damage to police car. Injured San Leandro police officer underwent third surgery today. 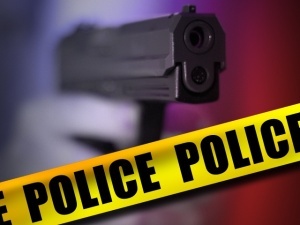 SLPD says that the officer’s prognosis is unknown. In response to questions, McManus says they will not share where bullets were found nor how many shots were fired because there are ongoing investigations by the Oakland PD and Alameda Co. DA. McManus says that both officers fired at the suspect, in response to an audience question. Reports from local residents described multiple shots (at least 5-6) fired during the San Leandro officer-involved shooting. McManus says that there is no evidence of a bullet crossing Bancroft Avenue and striking a car in 500 block of Broadmoor. No weapons were found on the suspect arrested at the scene of the San Leandro officer-involved shooting nor the stolen car. San Leandro Police Chief Sandra Spagnoli says purpose of meeting was to dispel rumors and answer questions, even though they can’t answer some questions. Chief says this child was making adult decisions and operated the vehicle as a deadly weapon. Chief says that surveillance & license plate cameras will be used to solve crime in response to speaker about border crossing. This is a drawing of the scene before the suspect’s car moved. The suspect’s car is the one on the street closest to Kensworth. Two private cars are parked in front of it. The two cars in the middle of the street are the police cars. The injured officer was standing by the car closest to Bancroft, which was blocking the street at an angle. Note: I removed a note I’d made on how the officer was injured, after Tim’s comment which provides more accurate information. I urge you to read Christine and Tim’s comments below for more information on the meeting.